NEXUS pass holders are authorized to use the NEXUS lane when traveling between the US and Canada in either direction by air land or sea, which will expedite border crossing and clearance. Border crossing points have one lane reserved for NEXUS use only and some will also designate a second lane if needed. A car can only use the NEXUS lane if all passengers (including children and infants) have a valid NEXUS pass and passengers have nothing to declare at the customs. Travelers, who intend to use their NEXUS pass for air travel should have had an iris scan at one of the NEXUS enrollment centers. Everyone must complete a Customs declaration form and then proceed to the NEXUS or Global Entry kiosk. Then they should stand before the camera for iris scan identification and enter details about their trip using the touch screen. After receiving a NEXUS kiosk self service receipt they should proceed to baggage claim and present the self service ticket and the Customs declaration form at the exit. Upon reaching the US-Canada-border by car NEXUS pass holders should follow pull into the NEXUS lane and hold their passes before the pass reader. After they scan their passes, they should stop at the customs booth for a visual check from the customs officer. 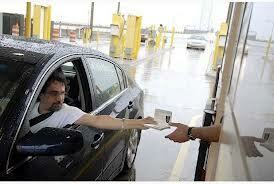 If not selected for a random or vehicle check, they can proceed to crossing the border. NEXUS pass holders cannot use the NEXUS lane if they are traveling with persons without NEXUS passes in the car. Please note the NEXUS pass can be revoked for carrying non-Nexus passengers and letting them out to walk across the border. When crossing the border by sea, it is the boat captain who is responsible for dealing with customs and immigration on behalf of the NEXUS pass holders aboard the boat. The captain should call the NEXUS reporting center number up not later than 30 minutes before the boat’s arrival and give the personal details of all NEXUS members onboard, together with details of the trip. The border officer at the reporting center will issue a report number that must be presented to the customs officers at a specified landing site.